Entering is easy. First, Like Toy Sale Boat on Facebook. Next, keep checking back every weekday on our Facebook page for a new prize reveal. Follow the link in each new post to this blog where you will find the phrase of the day. Finally, post that phrase as a comment on that day's corresponding Facebook post. 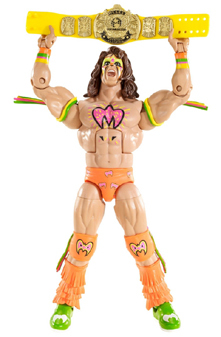 Our fifth reveal in the "Win What You Want" giveaway is Ultimate Warrior from Mattel's WWE Legends Series 6. 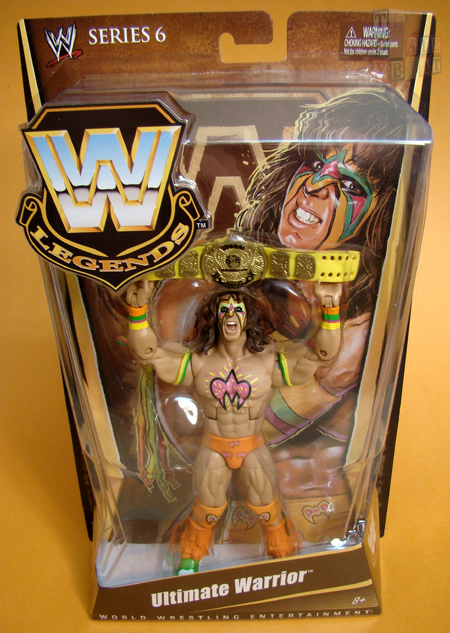 This version of the Warrior is decked out in his WrestleMania 6 look and includes the WWE Championship he won that night (although the strap was never yellow). Here is a sneak peak at Monday's "Win What You Want" reveal. Can you guess who it is? Keep checking back on Facebook for tomorrow's post to find out and good luck! If you have any questions, please check the "Win What You Want" Giveaway FAQ or drop us an e-mail. Disclaimer: The "Win What You Want" giveaway is open to everyone, but entrants who live outside the continental United States agree to pay all shipping costs for any winnings. Odds of winning depend on the number of entries. No purchase necessary. The "Win What You Want" giveaway closes on March 31, 2012. Toy Sale Sale is not responsible for prizes lost in transit. One grand prize winner will win their choice of one toy from the 20 "Win What You Want" prize reveals on toysaleboat.com. The value of the grand prize is estimated at $24.95. The grand prize winner agrees to allow their name to be published on toysaleboat.com and the Toy Sale Boat Facebook page. Sweet action figure! Awesome character he was!